After so much throat-clearing, history, discussion of morality and disapproval of the fugitive slave act, Lincoln came around at last to treating Douglas’ argument directly. He did not plan a point-by-point attack on it, as he told the audience earlier, but he did come to debate and that meant he had to deal with Douglas’ words eventually. That meant understanding Douglas’ position and stating it clearly, which Lincoln did with admirable brevity. After spending enough time reading the Congressional Globe, one comes to appreciate that. Douglas’ case in three sentences, though the second really could count as two separate claims. The public could repudiate the Missouri Compromise, in some senses, without necessarily seeking its legislative repeal. One could accept the Missouri settlement for the Louisiana Purchase but refuse to extend it elsewhere, for example. Lincoln took care not to offend the prejudices of his time. He does not mention that Nebraska had only illegal white squatters demanding a territorial government, and few of those. The dogmas of nineteenth century white America demanded that land be opened for white settlement in the fullness of time. Having ever more frontier land coming cheaply on the market made the United States the United States and not some cramped little European country. White progress and white freedom could never stop moving on. Even David Rice Atchison agreed with that. You went west to freedom and for the future. But even without that point, he makes an excellent case. If Nebraska needed a territorial government, no law of nature required the Missouri Compromise to fall for that to happen. If such a law existed, then it would have applied to Iowa and Minnesota. Very nearly the same applied to Nebraska, but the clock ran out on Douglas in 1853. Then when the bill came up again in 1854, it came with no repeal. If Douglas had come on some secret truth about reality that demanded abolishing the Missouri Compromise to organize Nebraska, he came on it very late in the game. A decade of his intense interest in the subject had only at this late hour yielded up such a revelation. This suggested that no such revelation came. Nebraska did not need the Missouri Compromise to go away. Douglas did. If one did not know about Douglas’ dealings with F Street, Phillips, and Dixon, this all looked very much indeed like Douglas wanted slavery into Nebraska for its own sake. Lincoln indicted Douglas’ patriotism and accused him of secret proslavery zealotry. He went on to damn the fugitive slave act that he would later endorse with some reluctance in 1860. When he got up and told his Peoria audience that he did not intend a direct point-to-point reply to Douglas, he lived up to his promise. Instead they heard a history of slavery restrictions and the aforementioned comments. Having come out strongly against slavery, then expressing strong empathy and understanding of the white south’s racial predicament and white America’s racial prejudices, Lincoln again swung back around to a more antislavery line. Almost everybody in the white South before the Civil War abhorred the African slave trade. On occasion people did cheat and sneak in a shipment, and some fire-eaters always griped about it. Other radicals saw the 1808 ban as the beginning of the long litany of sins against the South by the federal government. But southerners could get queasy just around professional slave traders, who stripped away too much of the facade of paternalistic domesticity. They preferred to trade slaves through private sales when they could. When the southern ultras did try to revive the African slave trade, even in the fevered years right before the war, they could never get a single state to pass laws authorizing it. Probably very few white southerners would have phrased it this way, but that position embodies a distinction between a right to hold slaves and a right to transport them even in the minds of the slaveholders. Some things just went too far. Lincoln could have found people nodding along when he endorsed the ban on the African slave trade even in Charleston itself. When they [southerners] remind us of their constitutional rights, I acknowledge them, not grudgingly, but fully, and fairly; and I would give them any legislation for the reclaiming of their fugitives, which should not, in its stringency, be more likely to carry a free man into slavery, than our ordinary criminal laws are to hang an innocent one. In any law upon this subject ought not all the safeguards of liberty known in civilized and humane jurisprudence to be introduced, so that a free man be not in any case surrendered as a slave? And might it not be well at the same time to provide by law for the enforcement of that clause in the Constitution which guarantees that “the citizens of each State shall be entitled to all privileges and immunities of citizens in the several States”? I think one can fairly say that Lincoln endorsed the infamous law in March, 1860. But he did so with open reservations even then and even when using it as an olive branch in a crisis. Even at this extreme, Lincoln will only go so far as enforcement until repealed of a law already largely a dead letter. And even if Lincoln’s government pushed prosecution against a new rush of slave rescuers, would a northern jury convict? Back in 1854, on closer examination, Lincoln’s doubts come out much more clearly. In both cases he wants some kind of law that provides the sort of protections that an accused criminal would receive: a real trial, habeas corpus, the right to speak in his or her own defense and to introduce evidence…all the things that the fugitive slave act precluded. Lincoln would have southerners get their slaves back, but only if they worked hard for it. The model they chose, James Mason’s fugitive slave act, simply did not suffice. They needed to do much better. All of this makes another appearance of Lincoln the conciliatory moderate. He hates the fugitive slave act, but will uphold it until its repeal. He has all the right doubts, the same that a modern civil libertarian might have, but ultimately views himself not as a revolutionary working to overthrow the system but as a reformer bent on its incremental improvement. I’m taking tomorrow off, so here’s an extra-long post for today. 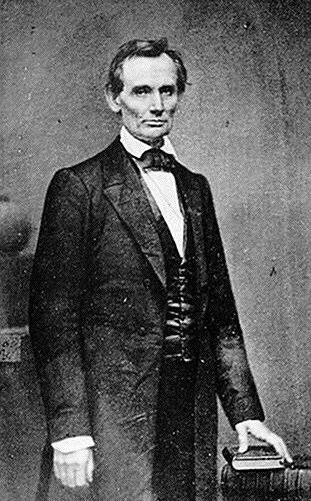 Lincoln declared himself a foe of slavery and its spread. He opposed it on the obvious moral grounds, as well as on patriotic and philosophical grounds. Naturally, one then wonders what he aspired to do about it. Thomas Jefferson opposed slavery, but would do extremely little to disturb it and encouraged Edward Coles to do no more. Just by declaring himself antislavery in public, Lincoln had gone beyond the Sage of Monticello. If all earthly power were given me, I should not know what to do, as to the existing institution. My first impulse would be to free all the slaves, and send them to Liberia, -to their own native land. Abraham Lincoln, hero to whites and banisher of blacks, would rid us of them all. As much as we cringe, to nineteenth century white American ears that made perfect sense. Most white people who hated slavery hated it not for the wrongs done to black people but because they saw it as a threat to white republicanism and white social and racial purity. Different sorts should just keep to themselves. Maybe one could work out a way to live together with Catholics or Irishmen just arrived, or maybe not, but black Americans who arrived generations ago simply could not fit into American society. Best for everyone if they just went away. Forced population transfer remained a socially acceptable, broad-minded humanitarian option up through the First World War, of course. Even if people got exiled by force, it would remove irritating minorities and their concerns from majoritarian movements. Thus, in principle, both sides would enjoy more peace and prosperity. It did not work out that way, but few people in Lincoln’s time knew as much. Americans could look at the Indian Removal for a counterexample, but then point out that private contractors turned it into a for profit enterprise and insist that their deportation scheme would work differently. But Lincoln dismissed colonization as impractical. Where would all that shipping come from? Who would pay for it? And what would freedpeople do when dumped off in Liberia? He predicted that they would die within ten days. However harsh, that at least acknowledges that colonization would not send black Americans to Shangri-la, but rather to a world with which most of them had no experience at all. Some Americans would have washed their hands on Liberia’s beaches, considering the job done, but Lincoln had too much of a conscience for that. What then? Free them all, and keep them among us as underlings? Is it quite certain that this betters their condition? I think I would not hold one in slavery, at any rate’ yet the point is not clear enough for me to denounce people upon. We might immediately answer with a resounding yes but in living memory Lincoln’s own Illinois had, if not slavery, an apprenticeship system where the apprentices lived as slaves in all but name. “Freeing” the slaves this way would not improve their lot at all and Lincoln explicitly references concern for black Americans well-being, something very often off the radar of other antislavery men. One can almost read a sort of implicit egalitarianism in this. Lincoln suggests that not just the legal fact of slavery, but also its social and individual realities must end. Inherently, ending slavery means elevating black Americans beyond their current status. Free them, and make them politically and socially, our equals? My own feelings will not admit of this; and if mine would, we well know that those of the great mass of white people will not. Whether this feeling accords with justice and sound judgment, is not the sole question, if indeed, it is any part of it. A universal feeling, whether well or ill-founded, can not be safely disregarded. We can not, then, make them equals. It does seem to me that systems of gradual emancipation might be adopted; but for their tardiness in this, I will not undertake to judge our brethren of the south. A better status than slavery? Lincoln’s all for that. Equality with whites? That asked too much. Lincoln told the crowd he would not accept it himself and even if he did, he knew most American whites never would. That project remains unfinished, even with a century and a half of further progress and further reverses. The language says it all here: We cannot “make them equals”. Nothing about a black person suggests in itself that black and white should live as equals. In the end, Lincoln comes out for graduated emancipation someday, but with great deference to southerners who don’t rush to the cause. No more slavery, in the distant future, but never equality. In making that stand, Lincoln of course pandered to the prejudices of his audience and to white racism in general. I feel the temptation even in writing this to make an excuse for him and say that in his heart of hearts, he didn’t believe a word of it. But I don’t know that and living so long after him and knowing the events ahead of him, I can’t help but see Lincoln at the end of his life when he talked about letting black men vote. That Lincoln had a decade and a war between him and the Lincoln who spoke at Peoria. When did one Lincoln become the other? Or did both Lincolns share space, with one as Lincoln’s pragmatic side and the other his inner idealist? I don’t know. Many books delve into the subject and I understand that most scholars see Lincoln as evolving into a more forward-thinking man over time, but those books haven’t reached the top of my reading list yet. I see a ghost of proto-egalitarianism in the Peoria speech, buried deep and hedged behind many conditionals, but I can also see the other reading that Lincoln’s humanitarian gestures go no farther than that. Lincoln pledged not to assail the motives or patriotism of anybody who supported the Missouri Compromise repeal, let alone a great man like Stephen Douglas. Then, a few minutes later, standing on the same spot where he made that promise, he told the gathered crowd at Peoria that Douglas’ careful indifference to slavery hid a secret zeal for expanding the institution’s reach. Lincoln could not help but hate that, in his own words, due to “the monstrous injustice of slavery”. If that doesn’t count as assailing motives, what would? Furthermore, the advancement of slavery exposed the nation as hypocritical in its advocacy of freedom, thus undermining its moral authority on the world stage. Even beyond that, Lincoln insisted that expanding slavery went against the values of the Declaration of Independence. If that doesn’t count as assailing patriotism, twice over, what would? Before proceeding, let me say that I think I have no prejudice against the Southern people. They are just what we would be in their situation. If slavery did not now exist amongst them, they would not introduce it. If it did not exist amongst us, we should not instantly give it up. This I believe of the masses north and south. Doubtless there are individuals, on both sides, who would not hold slaves under any circumstances; and others who would gladly introduce slavery anew, if it were out of existence. We know that some southern men do free their slaves, go north, and become tip-top abolitionists; while some northern ones go south, and become the most cruel slave-masters. While Lincoln clearly wants to ease off on the condemnation here, I don’t think one can fairly dismiss this as just savvy public relations. All of us imbibe our ideas of the normal state of affairs from the culture around us. If we grew up in a society that had slavery, we would overwhelmingly see it as normal. Things just work that way, end of story. We learn our definitions of normal from infancy and most of us, whatever the circumstances, don’t question them much. When we do, we do so in large part to examine our norms and call them good. Maybe they can use a minor adjustment here or there, but who among us wants to overthrow the entire society and do things in a dramatically different way? I can’t say that I do, and I’m probably farther from the political center than most. Even genuine revolutionary movements rarely uproot everything, even when prepared to commit great atrocities to that stated end. Lenin replaced Kerensky’s provisional government, which replaced the czar, with something not all that different from the czar’s rule. The French revolutionaries began protesting injustice and ended in the Terror and dictatorship. The American revolutionaries worked to ensure that their movement to dislodge British aristocrats did not also dislodge their American equivalents. After all, that might have left those same revolutionaries dictated to by an even more terrifying and arbitrary authority than the distant government in London: their poorer neighbors. We might all cast ourselves on the side of the angels after the fact, but that comes easy. We don’t have to take the risks or pay the prices. Nor do we have to find some way to break out of some measure of our cultural programming and then decide that what we once called good we should instead call bad. We have the benefit of living later. 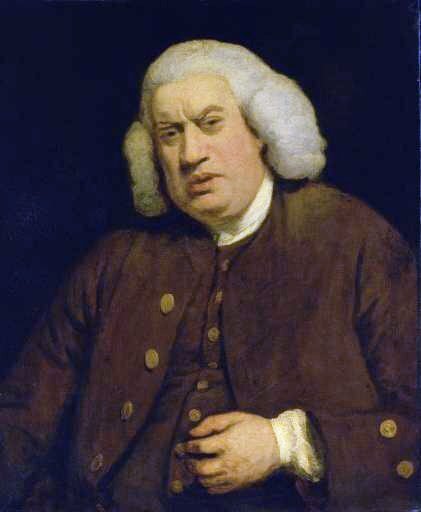 I do not propose to question the patriotism or to assail the motives of any man, or class of men; but rather to strictly confine myself to the naked merits of the case. 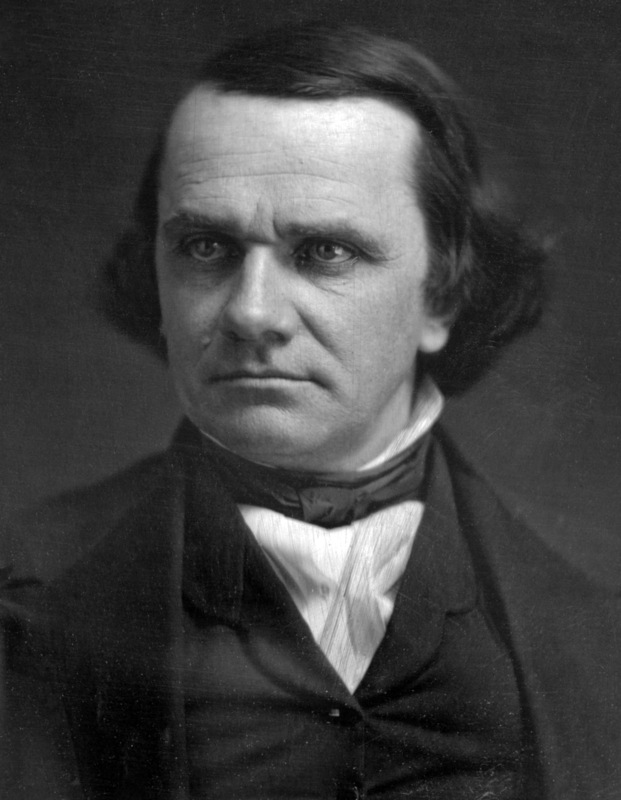 Now that Lincoln finished up his history of restrictions upon slavery, including those Stephen Douglas had eagerly supported, the one-time member of the House came to the question of Douglas’ motives. What did he think, after so much energy spent praising the Missouri Compromise, as late as a year prior, if he went on to destroy it all? What really went on in the Little Giant’s mind? Douglas always said that he didn’t care one way or another about slavery, personally. So much for not questioning patriotism or assailing motives. Lincoln might not have known just how thoroughly F Street had Douglas over a barrel, or how Phillip Phillips and Archibald Dixon outmaneuvered them, but he did have one salient fact before him: Douglas authored the repeal, endorsed it, and saw it made into law. Even if other men wrote the exact language, it came in Douglas’ bill with Douglas’ assent and considerable support. Why would any man who swore that the Missouri Compromise would always stand, who called those seeking to repeal it ruthless and reckless, suddenly turn on a dime and destroy it himself? Douglas must not have believed in it after all. Instead, all of the previous declarations amounted to empty political piety. People praised the Missouri Compromise, so Douglas praised it. One expected as much. But in his heart, he wanted it gone. If in removing it he undermined the United States’ position as the republican light of the world, Douglas hardly cared. Lincoln might not call the Little Giant the Accomplished Architect of Ruin, but he did call his opponent a proslavery wolf in sheep’s clothing and deeply, fundamentally un-American. Nebraska had remained, substantially an uninhabited country, but not emigration to, and settlement within it began to take place. It is about one third as large as the present United States, and its importance so long overlooked, begins to come into view. The restriction of slavery by the Missouri Compromise directly applies to it; in fact, was first made, and has since been maintained, expressly for it. Until Stephen Douglas stuck his nose in, anyway. Lincoln agrees, at least by implication, with Douglas that Nebraska needed territorial government on account of white settlement. Sam Houston and John Bell had it right here, though. The settlement amounted to a handful of people just over the border. Strictly speaking, they squatted there illegally. A moderate politician or one disinterested in slavery could rest on that fact, call the whole law needless, and stand against it. But Lincoln came from Illinois, itself still something of a frontier, and would not place himself in the path of history and demand it stop. He believed in the nineteenth century every bit as much as Stephen Douglas did. A man in his position almost had to. Maybe Sam Houston, Mr. Texas himself, could dismiss the imperative of white expansion. Maybe John Bell, safe in his Senate seat, could agree. A failed politician trying to restart his career had no such luxuries, whether he had private doubts or not. In 1853, a bill to give it a territorial government passed the House of representatives, and, in the hands of Judge Douglas, failed of passing the Senate only for want of time. This bill contained no repeal of the Missouri Compromise. indeed, when it was assailed because it did not contain such a repeal, Judge Douglas defended it in its existing form. On January 4th, 1854, Judge Douglas introduces a new bill to give Nebraska territorial government. He accompanies this bill with a report, in which last, he expressly recommends that the Missouri Compromise shall be neither affirmed nor repealed. about a month after the introduction of the bill, on the judge’s own motion, it is so amended as to declare the Missouri Compromise inoperative and void; and, substantially, that the People who go and settle there may establish slavery, or exclude it, as they may see fit. In this shape the bill passed both branches of congress, and became a law. This is the repeal of the Missouri Compromise. I think, and shall try to show, that it is wrong; wrong in its direct effect, letting slavery into Kansas and Nebraska-and wrong in its prospective principle, allowing it to spread to every other party of the wide world, where men can be found inclined to take it. 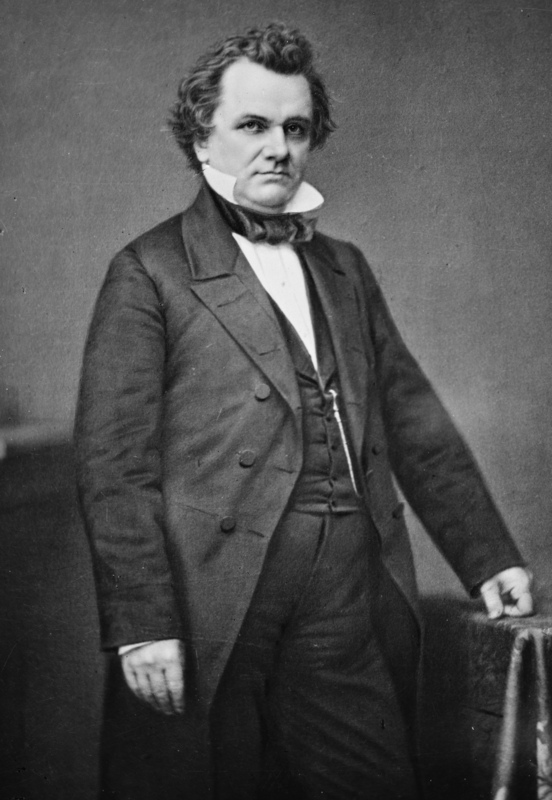 By confronting Stephen Douglas with the words of a moderate politician disinterested in slavery who avowed the sacred permanence of the Missouri Compromise, both reinforced his own argument for the same position and forced the Little Giant to face his own speech. One need not be an antislavery ideologue, like Salmon P. Chase, William Seward, or Lincoln himself might come across. In Douglas’ mind, and the minds of his supporters, those men might all share the same flesh. But Douglas himself? Surely not! The Little Giant might fancy himself a great statesman, with some reason, and see a president in the mirror every morning, but never an antislavery fanatic. But Lincoln did dig up a quote from 1849. Douglas always said that things changed in 1850. Before that, he accepted the Missouri Compromise as the best the nation could do. As Douglas now told it, he always preferred popular sovereignty. The Little Giant further insisted that the antislavery sorts fouled up the whole business, necessitating the change in policy. This is the origin of the far-famed “Wilmot Proviso.” It created a great flutter; but stuck like wax, was voted into the bill, and the bill passed with it through the House. The Senate, however, adjourned without final action on it and so both the appropriation and proviso were lost, for a time. was in the lower House that term. The “Wilmot Proviso” or the principle of it, was constantly coming up in some shape or other, and I think I may venture to say I voted for it at least forty times; during the short term I was there. The Senate, however, held it in check, and it never became law. On Judge Douglas’ motion a bill, or provision of a bill, passed the Senate to so extend the Missouri line. The Proviso men in the House, including myself, voted it down, because by implication, it gave up the Southern part to slavery, while we were bent on having it all free. That point really does cut both ways. The South would not tolerate a Mexican Cession all free. Antislavery men would not tolerate a Mexican Cession all slave. This left the issue in doubt as the 1840s wound down. Did principle or precedent require either side to accept extending the Missouri line? Perhaps, both other principles came into play as well. If one saw slavery as right, why should it suffer any special restrictions? If one saw it as wrong, why should any new territory be reserved for it at the expense of freedom? On paper, the sacred pact applied only to the Louisiana Purchase. The provision, which Douglas favored at the time, that extended the line across Texas contained within it the tacit admission that the line did not extend on its own across Texas. Each new parcel of land, at least in principle, opened the question anew. If both antislavery and proslavery men departed from established precedent, they did so in accord with a separate precedent that each territory needed its own slavery settlement.